February 11, 2019 January 15, 2019 / Julie Brook, Esq. Even highly competent attorneys who conscientiously meet their responsibilities may face the threat of malpractice. And this threat is very real for attorneys who prepare revocable trusts. 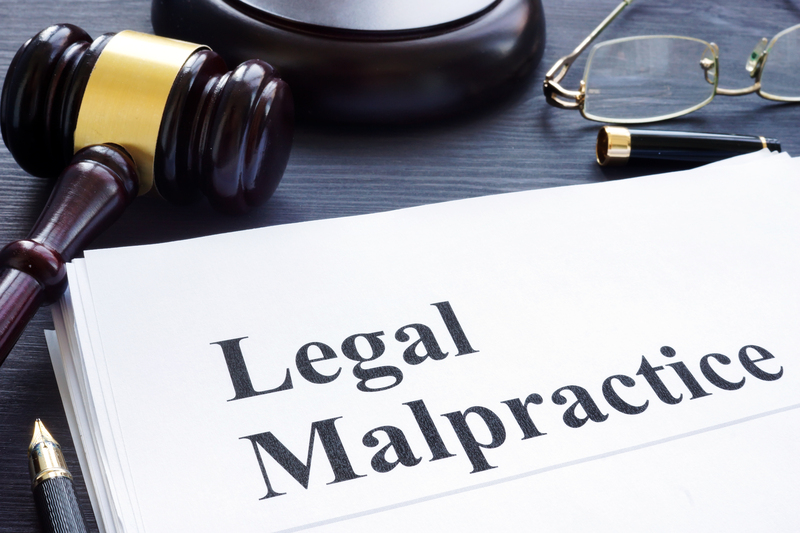 A malpractice claim can arise from a revocable trust that carries out the client’s wishes to the letter but appears to a disappointed beneficiary to be contrary to the client’s intent. Or an estate plan that reflects the client’s informed decision to gamble for a particular tax advantage may appear as malpractice to a beneficiary who suffers adverse tax consequences. In each of these situations, and in most malpractice claims against estate planning attorneys, the attorney faces a double whammy: It has been years since the attorney completed the work for the client and memory fades, and the client is dead and can’t articulate his or her wishes or whether the attorney properly advised the client of the risks of these wishes. Prepare a detailed memorandum of the client’s circumstances, the client’s dispositive wishes, the legal issues involved, your advice, and the client’s ultimate decisions. Even though the memorandum is self-serving, it may be admissible in future proceedings as a business record (Evid C §1271) and will at least be useful for refreshing recollection (Evid C §§771, 1237). Send the client a letter that reiterates the client’s wishes and decisions and explains how the revocable trust helps accomplish them. As an added precaution, ask the client to sign and return a copy of the letter as an acknowledgment of receipt and acceptance of the plan. If the client signs or initials the letter or memorandum, it becomes admissible under the adoptive admission exception to the hearsay rule. Evid C §1221. Have a colleague review the draft trust. In some firms, the attorney drafting the trust routinely submits the finished document to a partner or an associate for review. This is an excellent, albeit expensive, practice. A careful reading by a colleague may uncover omissions or ambiguities. Drafting a comprehensive letter to the client describing the plan can often serve the same purpose. Document the client’s unusual decisions. Sometimes a client decides to structure a revocable trust in a way that doesn’t minimize the overall tax burden on the estate by not taking full advantage of tax exemption, deduction, or deferral opportunities. This decision is typically made when personal or family considerations outweigh tax-saving considerations and can be entirely appropriate. You should confirm the decision in a writing to the client in enough detail to foreclose any later argument that the client wasn’t adequately advised of adverse tax consequences. Notify the former client of new law. Although you’re not currently legally bound to do so, you should consider keeping your clients apprised of changes in the law that might affect their estate plan. You may want to define in the engagement letter the extent to which the client can expect you to provide ongoing advice about future changes. Convene a family meeting. A beneficiary may be more likely to abide by your client’s wishes if your client presents these wishes at a family meeting. The client’s explanation of his or her desires and the method selected to implement those desires may be enough to induce acceptance. You can also explain the tax and legal aspects of the case and document what was said at the meeting. Review the professional responsibility issues that may arise in drafting a revocable trust, updated to include the new Rules of Professional Conduct, in CEB’s Drafting California Revocable Trusts, chap 2. And check out CEB’s program The Revocable Trust Drafting Process, available On Demand.